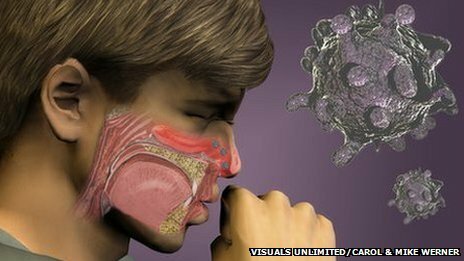 BBC Science - How does the body fight off a virus? How does the body fight off a virus? Viruses are infectious micro-organisms that require a living host to survive and multiply. When one enters your body, it invades and takes over cells, redirecting them to produce more of the virus. How do our bodies defend us from viruses? When our bodies come under attack from a viral infection they launch a sophisticated defence known as 'the immune response'. Our immune system is designed to recognise the cells that make up our bodies and repel any foreign invaders such as viruses. They do this by using a huge army of defender cells which consist of different types of white blood cell. We make around a billion of them every day in our bone marrow. HIV attacks and kills a type of immune system cell known as T lymphocytes. These T cells are crucial for killing other cells in the body that have been infected with germs. Without T cells, other immune system cells, such as antibody-making B cells, can't work properly. If HIV is not treated the number of T cells drops steadily. Eventually, numbers fall to the point that the risk of infection greatly increases. This end-stage is known as AIDS. White blood cells called macrophages destroy germs as soon as they detect them. However, if a viral infection begins to take hold we fight back using a more powerful defence of white cells called T and B lymphocytes. Antibodies are a special protein made by B cells. They bind to a virus to stop it from replicating, and also tag viruses so that other blood cells know to destroy them. T cells have different roles to play. Some act as guard dogs that raise the alarm when they detect invading viruses; others kill virus-infected cells directly, or help B cells to produce antibodies. Once the virus has been cleared, a small number of these specialist B and T cells persist and retain an accurate memory of the destroyed virus. This means our immune systems are primed to prevent another infection from the same virus, without attacking the body's own cells by accident. This is known as 'acquired immunity'. Having a single infection with mumps during childhood will give you lifelong resistance, for example. Scientists have harnessed this natural ability in order to create vaccines, which use dead or weaker strains of viruses to prime the immune system and stimulate long-term resistance without causing the actual infection. Childhood immunisation programmes against highly infectious viruses, such as measles, are particularly important as these infections can cause serious and even fatal complications first time around. Why do viruses come back? Firstly, many viruses like those that cause flu are skilled at rapidly mutating as they replicate. Each new virus has small, but often advantageous changes, in its genes and these accumulate as the virus passes from one person to another. During this process, the virus alters its appearance and our immune memory cells struggle to recognise it, leaving the virus free to infect us once more. This is why you can keep catching the flu - new mutated strains constantly develop, which the immune system can't detect. The flu virus also has the advantage of being able to infect a variety of hosts, from humans to birds to swine. The strains become very different during their transmission within animal groups. This makes them unrecognisable to the immune system and, on the rare occasion when they jump back to humans, they can spread rapidly. Unlike the flu, colds are not caused a single type of virus but any one of hundreds of different types of virus that can infect the upper airways. These viruses don't mutate like the flu viruses, so with each cold the immune system becomes resistant to the virus that caused it. However, people will still get recurrent colds simply because they keep coming across new viruses they haven't had before. Other viruses, such as the chickenpox virus, become inactive before they are destroyed by the immune system. They remain dormant in our bodies but can be reactivated in later life by physical and emotional stress, resulting in a condition called shingles. One in 10 people who have chickenpox as children will have shingles as adults. Another technique - one used by the herpes simplex virus which causes cold sores - is to hide from the immune system in nerve cells called neurones. When the virus is activated by hormones or stress on the neurones, it leaves its host neurone cells intact but travels down the nerve to the skin. Here it destroys skin cells and forms blisters on the lips which discharge the virus. Scientists have suggested that this is an evolutionary survival tactic for the virus. It detects changes in the body which could threaten its existence, and moves to the skin causing a superficial eruption, liberating virus particles to find a new, healthy host. Will we ever find a cure for the common cold? Progress is being made in creating an antiviral drug that could kill multiple viruses, in the same way that antibiotics kill many different types of bacteria. At present, antivirals are tailored to specific diseases such as HIV and hepatitis. 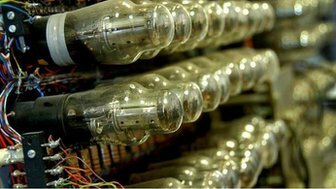 But a team from the Massachusetts Institute of Technology have created one that has successfully treated 15 different viruses in lab tests on human tissue and mice. It was created by 'wiring together' two natural proteins - one that detected virus entry, and another that acted as a suicide switch that kills the infected cell. The drugs have yet to be tested on humans. For now, the research continues.